Lanaye is a village on the Dutch-Belgian border, between the river Meuse and the Albert canal, 4 kilometers east of the road from Liege to Maastricht in Holland. It is 9 kilometers south of Maastricht and 22 kilometers north-east of Liege. The cemetery is 45 meters east of the Lanaye-Vise road, in a lane opposite the church, which stands in the centre of the village. 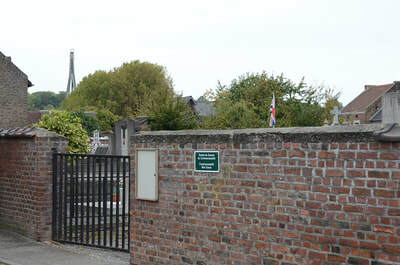 The war grave is located against the West (left hand from entrance gate) boundary of the cemetery. 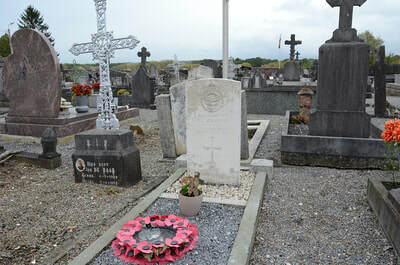 The British Expeditionary Force was involved in the later stages of the defence of Belgium following the German invasion in May 1940, and suffered many casualties in covering the withdrawal to Dunkirk. 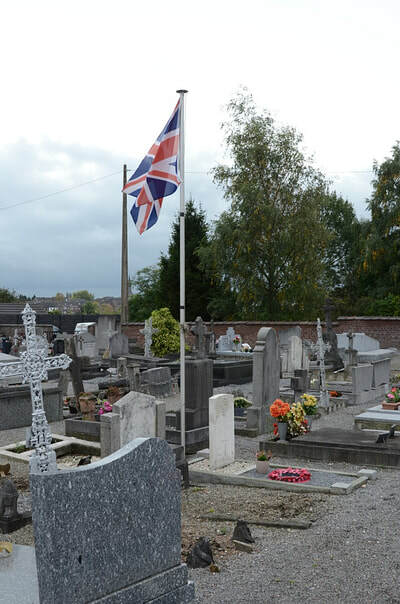 Commonwealth forces did not return until September 1944, but in the intervening years, many airmen were shot down or crashed in raids on strategic objectives in Belgium, or while returning from missions over Germany. Lanaye Communal Cemetery contains the grave of one airman of the Second World War. 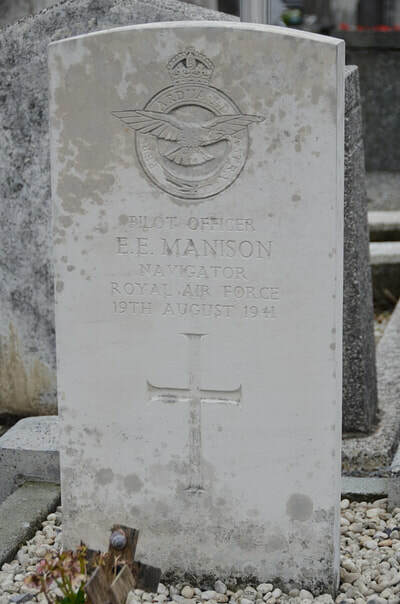 60549 Pilot Officer Ernest Edward Manison, Navigator in 10 Squadron, Royal Air Force Volunteer Reserve, died 19th August 1941.